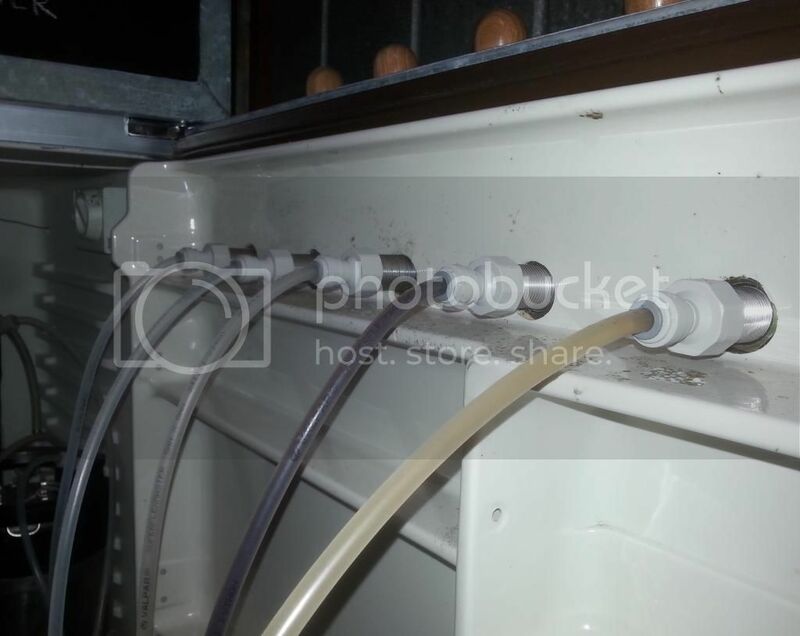 Homebrewers and beer lovers, use this forum to sell, give away and seek supplies and equipment. If you are selling something on eBay post a link here. 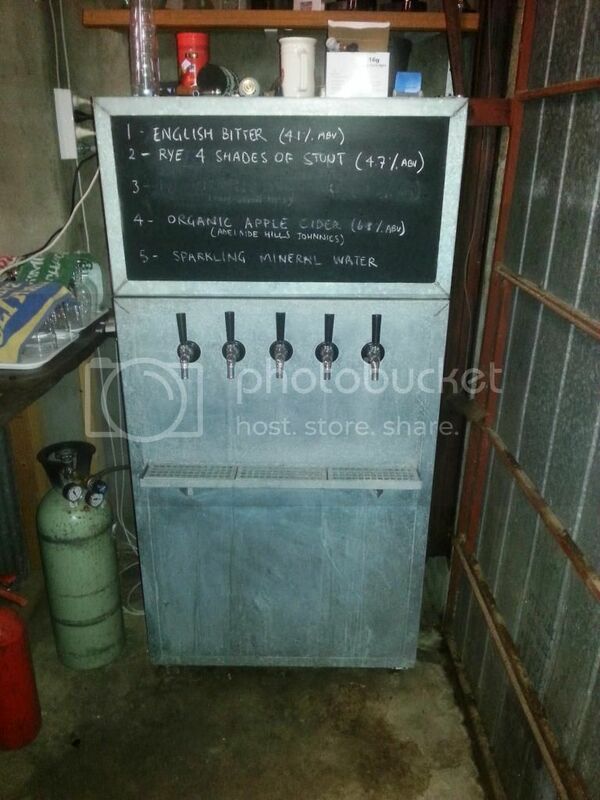 I downsized to a 3 tap kegerator so my 5 tap setup is now for sale. 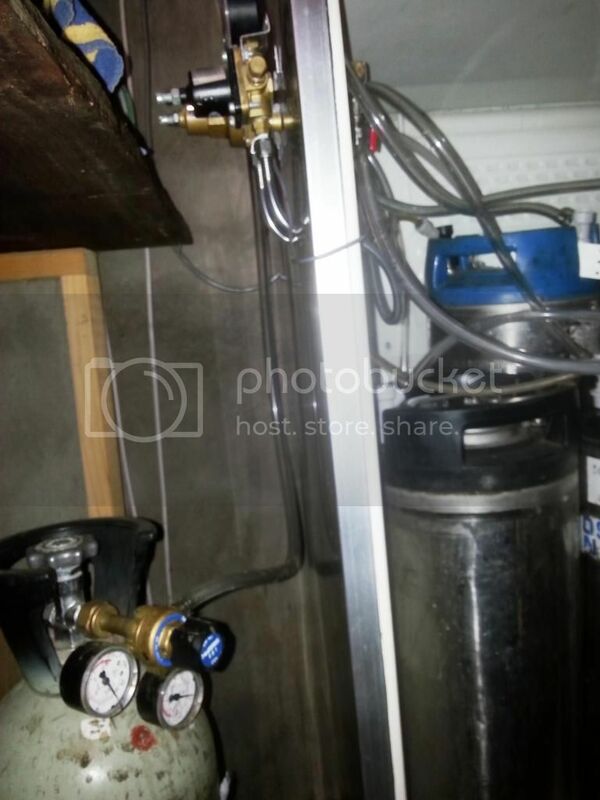 470L Ignis fridge, Aussie built (349L fridge, 116L freezer). 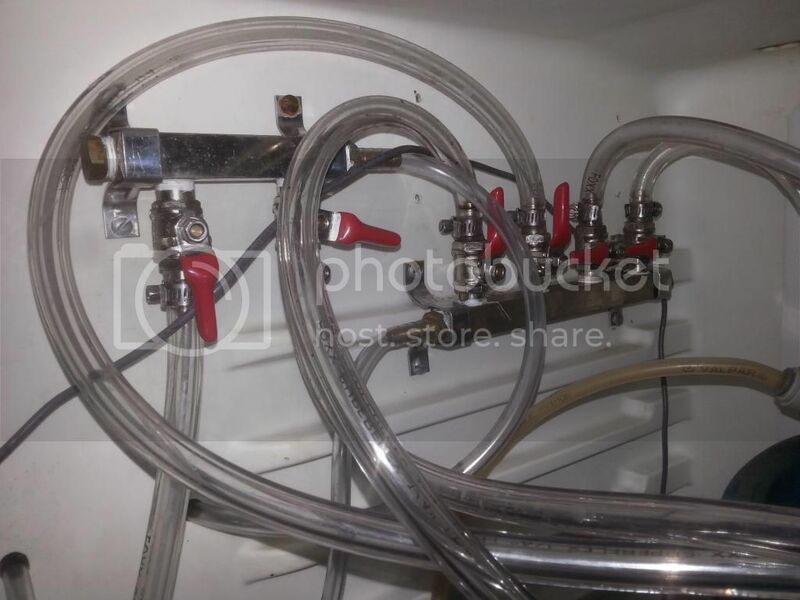 Holds 5 kegs with ease, 6 if you have mastered tetris. 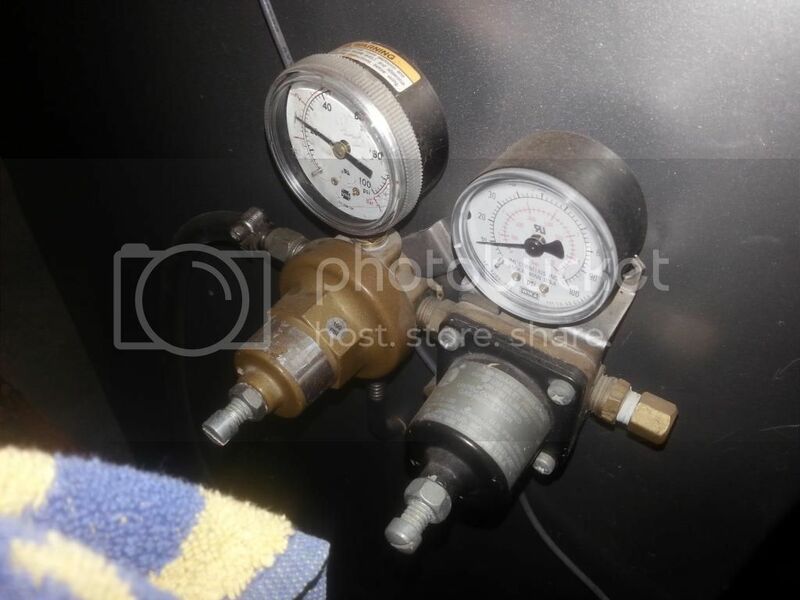 Dual pressure regulator mounted to the outside wall that feeds in to 2 separate manifolds inside - with a total of 6 gas lines (2+4 - see pics). 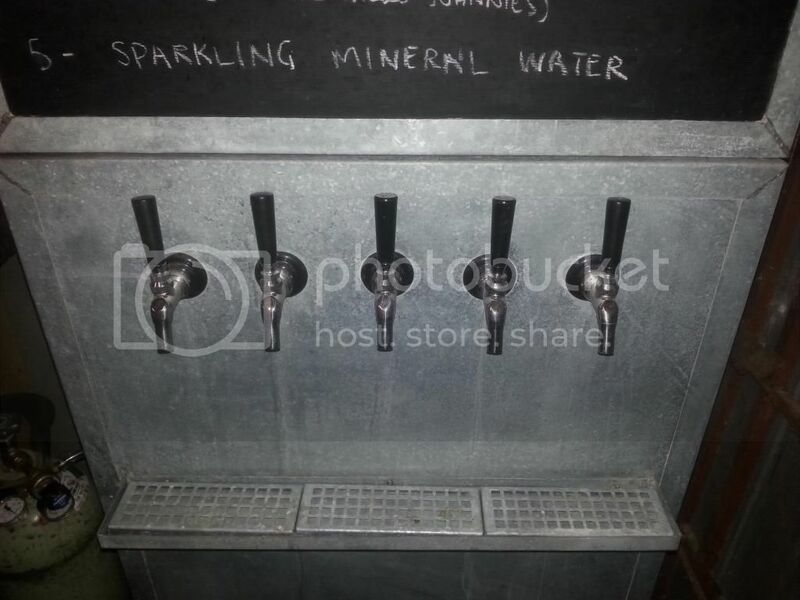 5 Perlick 525SS taps with black tap handles and black spout plugs (cheapest i have seen new 525SS in Australia is $45 plus tap handle plus spout plus postage). 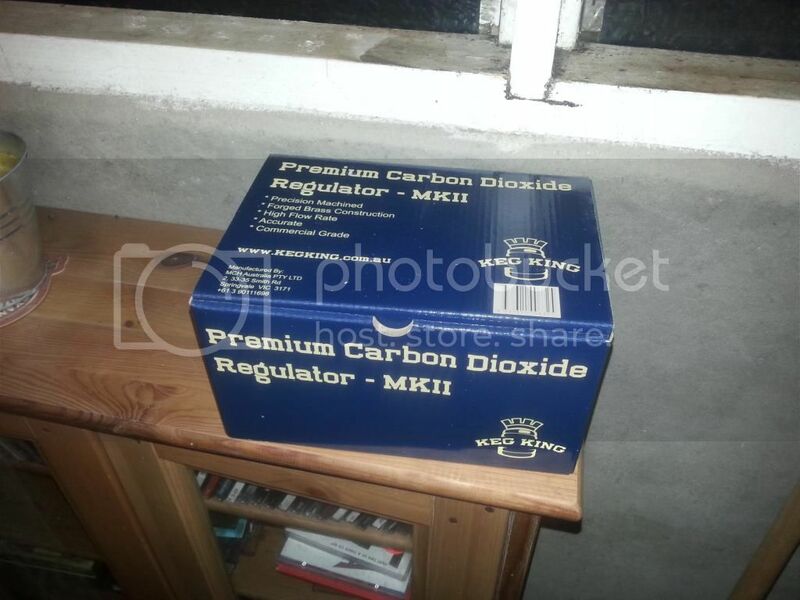 Brand new, in box, KegKing CO2 regulator which you need to connect to the dual pressure regulators. All JG fittings included. Beerline was replaced 18 months ago and is rinsed weekly with starsan. Previous owner attached sheet metal to the front with a blackboard on the freezer door and a built in drip tray on the fridge door. 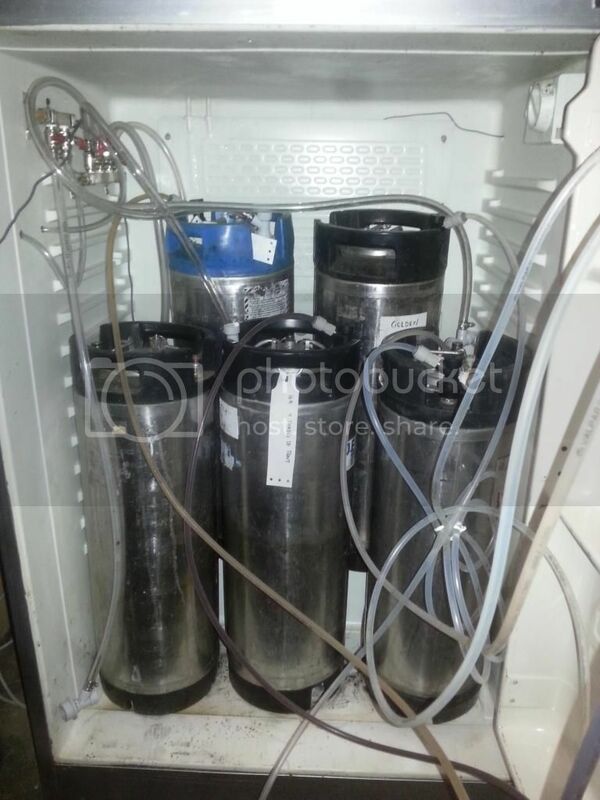 All you need are kegs of beer and a CO2 bottle. Freezer is spacious and has a shelf. Comfortably holds more hops than I can use. As a bonus I will throw in 2 cubes of fresh wort, recipe to be negotiated with the buyer with the cubes to keep. Asking $600. Pickup from Mt Torrens although I could be tempted to deliver it. It will be getting a very thorough clean this weekend. Would love it. But it's too far away and I just can't brew enough to have five taps. That looks awesome. I seriously couldnt brew enough to justify it. Only 4 hours from here in mildura too.